If you don't want to add the birthstones, you can use favorite colors or keep the color clear by using the April birth stone. I would love a pretty necklace like this to wear to remind me of my loved ones. This type of necklace can be worn any time of day or night. It is one of those pieces that mom or grandma want to show everyone, because it is so thoughtful. 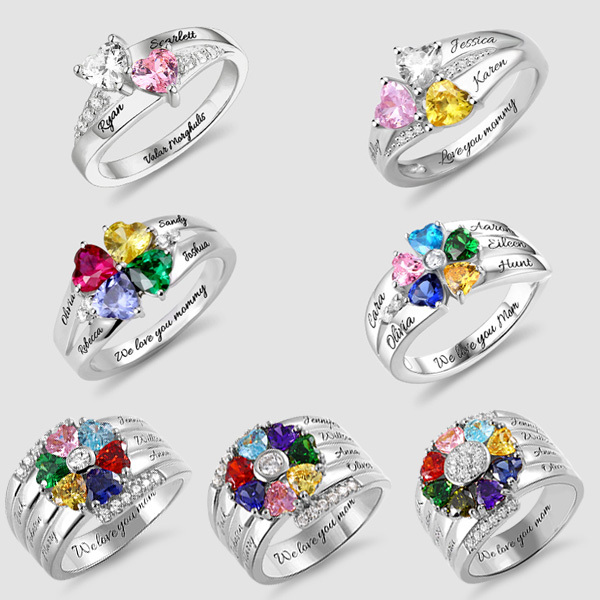 Another pretty piece that caught my attention on the website is the Personalized Heart Birthstone ring. The ring can be personalized with up to eight birthstones and names! This is a great for any mother or grandmother. The photo below shows the different designs available, depending on the number of stones chosen. The ring can be engraved with names and a special saying can be engraved inside. The ring is available in sizes 5 through 12. The third piece of jewelry that I found to be very thoughtful is Personalized Infinity Necklace. This necklaces expresses everlasting love. This necklace is so unique from any other infinity necklaces I have seen. The names inscription is carved into the infinity symbol. (see photo below) You can add up to four names and up to four birthstones. The necklace is available in various lengths ranging from 14 to 22 inches. For Mother's Day, Getnamenecklace.com is offering special savings for you. Use the codes below to save on your purchase. Free shipping is also being offered for your purchase. 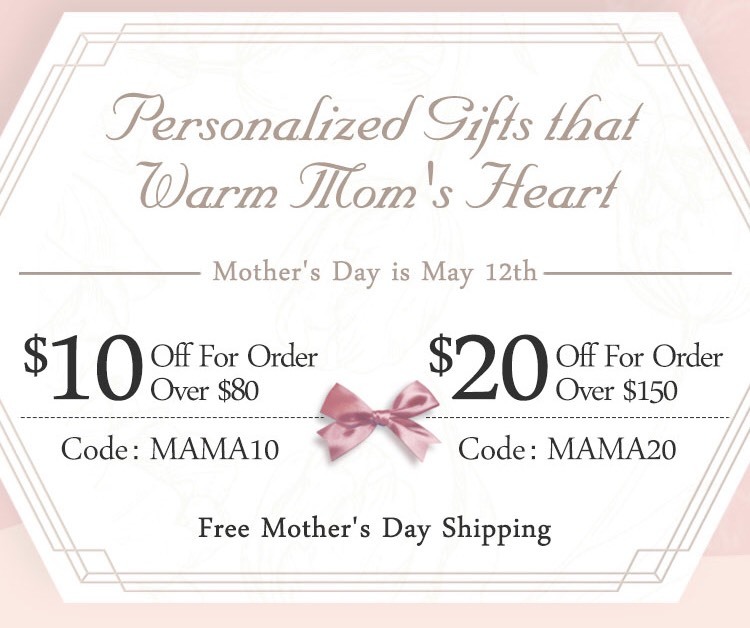 These pieces are perfect for Mother's day, but they also make great gifts for birthdays, weddings, anniversaries and more. 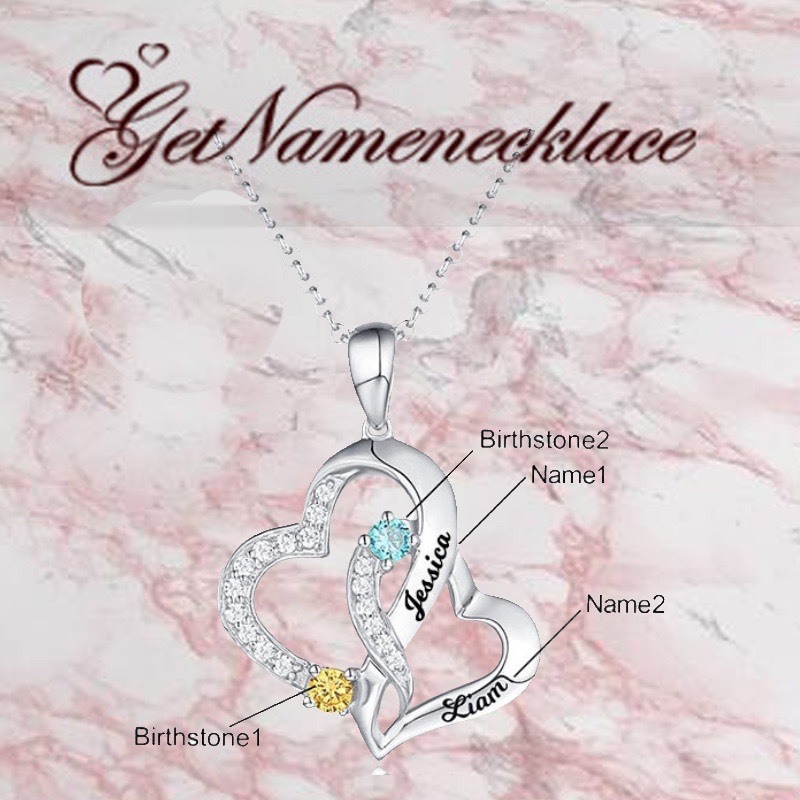 Visit getnamenecklace.com to see all of the unique and pretty jewelry pieces that are available on their website. 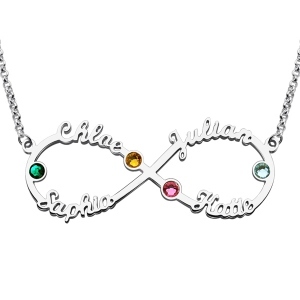 My niece would love the Infinity Necklace with her daughters names on it for Mothers Day.